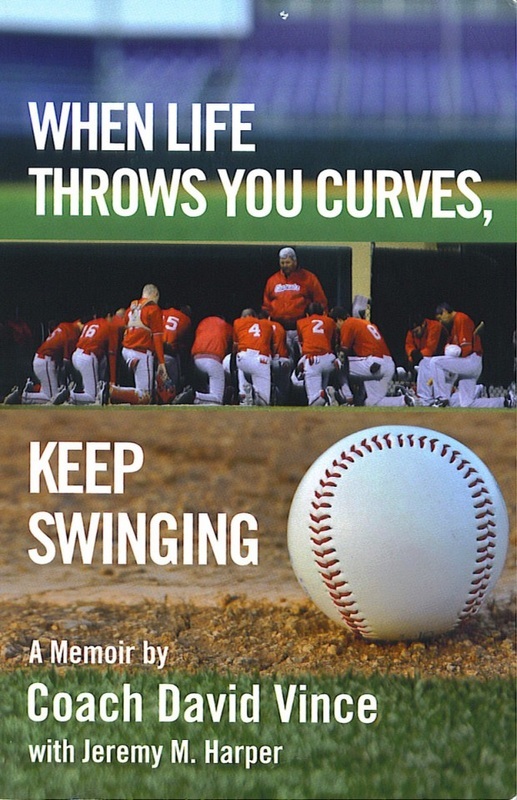 When Life Throws You Curves, Keep Swinging by David Vince is the inspiring journey of a man who lives as a double amputee, who loves sports, baseball in particular and is able to achieve his dream. Through his perseverance and his faith he became a family man with a wife and three children and a baseball coach without ever playing the game himself. “Disability” is not a word in his vocabulary. This memoir relates an incentive that everyone can use as their own life’s goals. It is an easy read. He has done this through his faith and knowledge of his abilities. David lost both legs as a baby due to a congenital bone disease called tibial hemomelia. As a result, he learned how to cope with the physical limitations as well as the perception by his peers at an early age. David had many supporters, including his employers, his teams and especially his wife. They did not look at him as a handicapped person, but as a man who could do a job. And he did it. He improved every team he coached. David worked as a 29-year baseball coaching career. He had 470 career wins, was named Coach of the Year 10 times, had 30 players earn baseball scholarships and 5 players selected in the MLB draft. He now lives in Louisiana with his wife and three children. David Vince kept swinging!